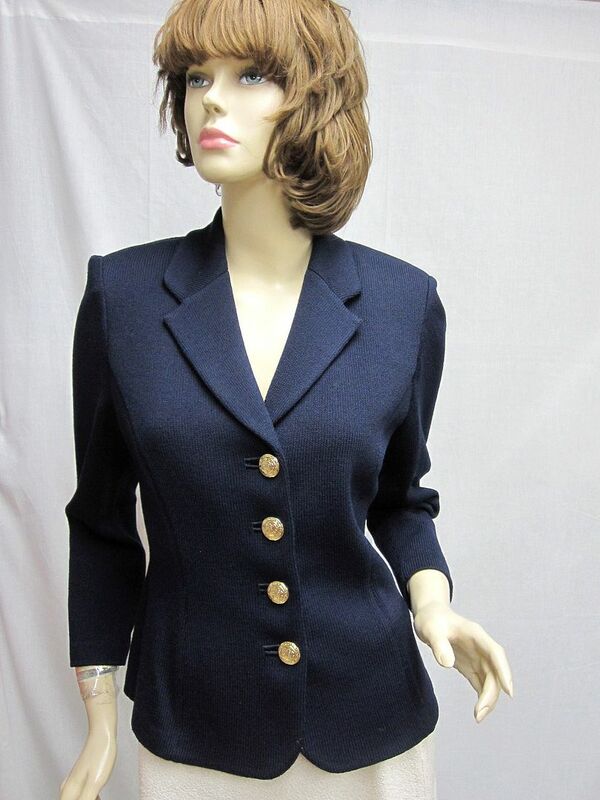 Click the button below to add the St John Knit BASICS Black LOGO Button Jacket Size 10 to your wish list. 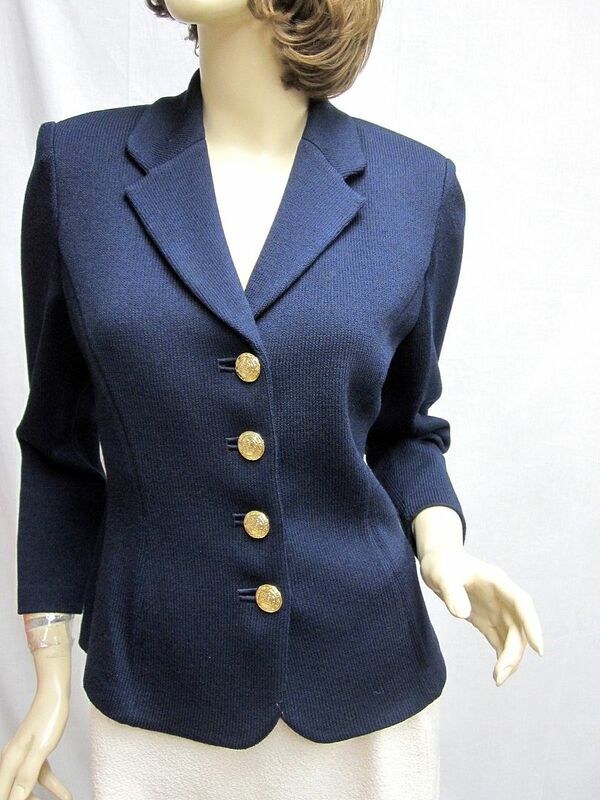 CLASSIC 4 You St John Knit BASICS Black Princess Gold LOGO JACKET SIZE 10. 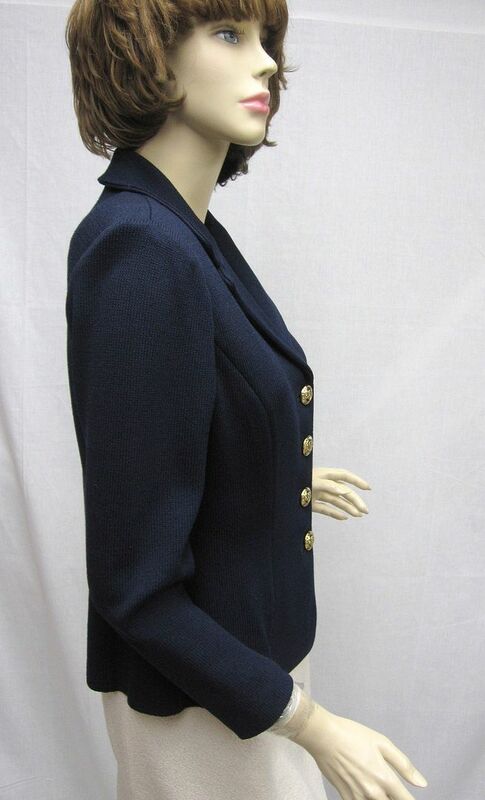 This is a stunning santana knit basics navy jacket. 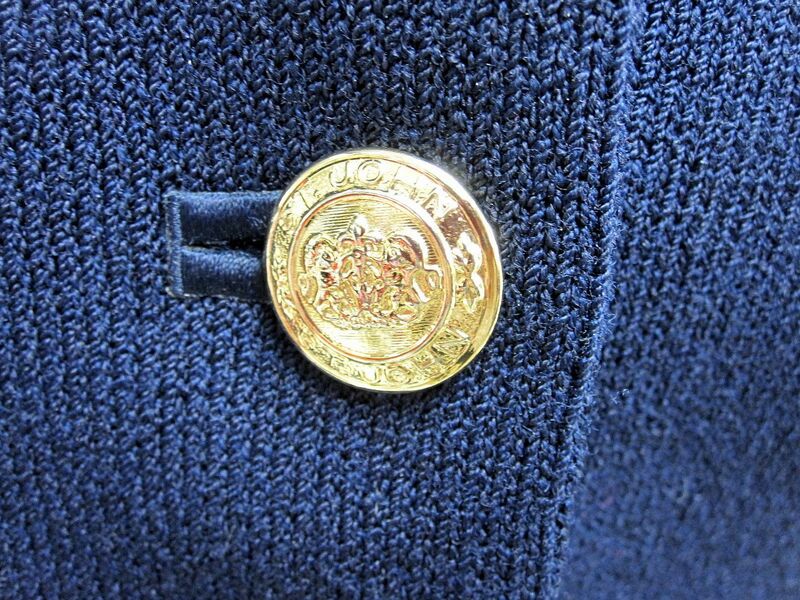 It has a lapel collar and 4 gold signature buttons down the front. Princess line fit for perfection. WEAR WITH ALL! 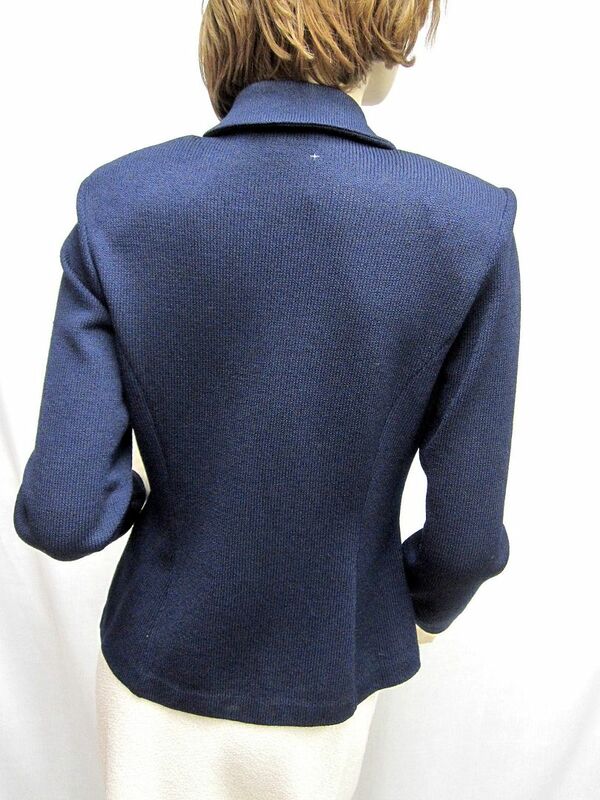 Shoulders: 16" Bust: 39" Waist: 36" Hips: 40" Length: 25" Sleeve Length: 23 1/2"